My family eats our share of beef. We almost always have tri tip in the house because it’s affordable, flavorful, low in fat, and it is the most diverse piece of beef around. You can grille it, smoke it, braise it, or in this case, roast it. 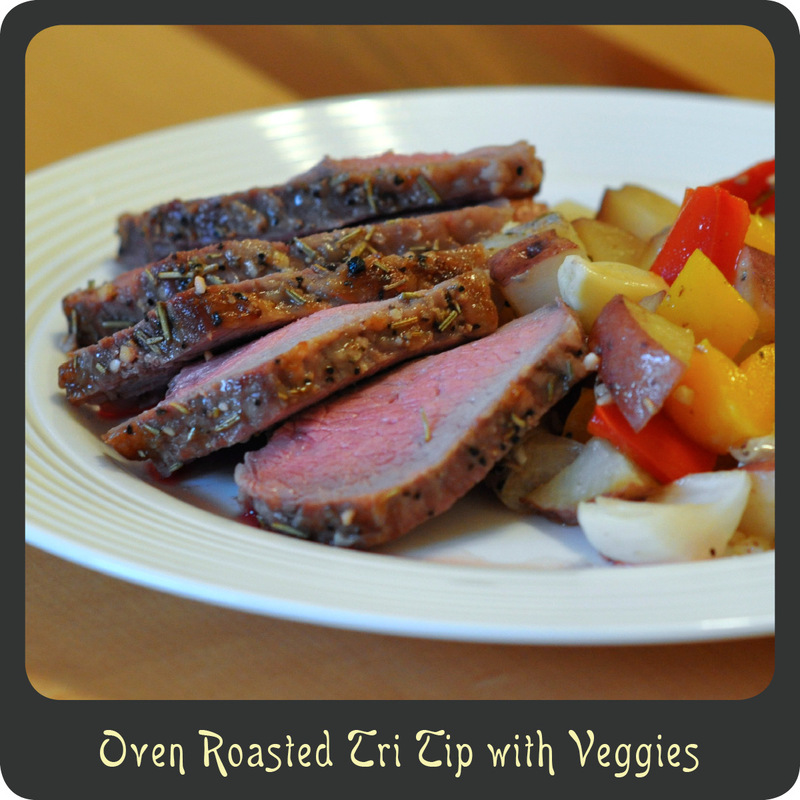 Every time I have made this recipe the meat comes out really tender, flavorful, and juicy. This is a perfect all in one meal that will save you time and dishes. Note: If you have any leftover potatoes and veggies they are spectacular for breakfast! I just throw them in the skillet and fry them up for a few minutes. And if on the rare occasion you have leftover meat, dice that up and put them in a tortilla with scrambled eggs and the potatoes for a killer breakfast burrito. In a small bowl combine rosemary, garlic, salt, and pepper. Spread half of the seasoning mixture all over the roast. Place the potatoes, bell peppers, onion, and whole garlic cloves (if you are using them) in a large bowl. Drizzle the vegetables with the olive oil and add in the other half of the seasoning mixture. Toss to coat. 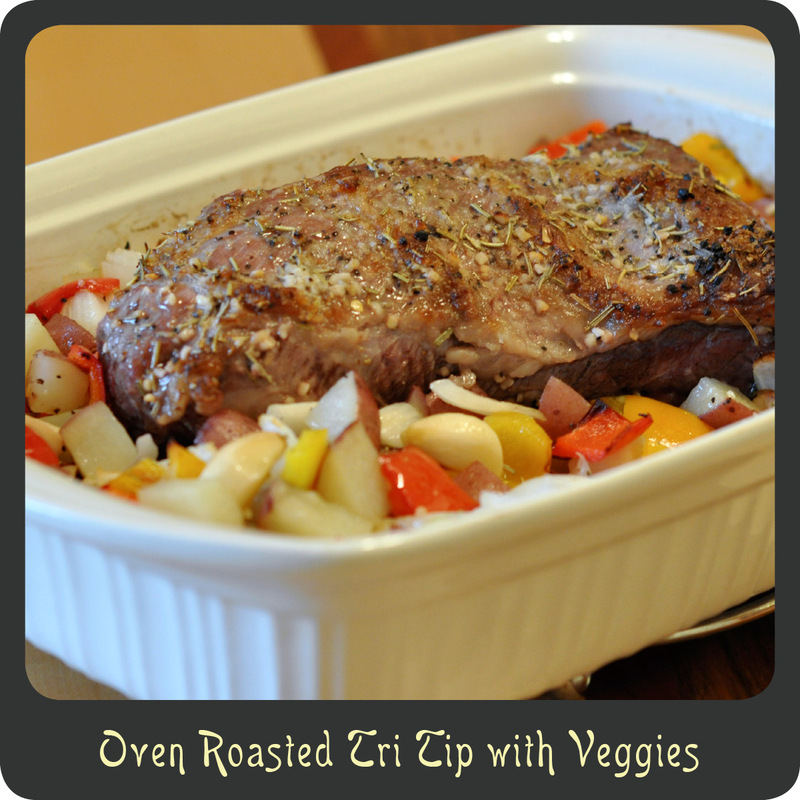 Place the roast fat side up in a large baking dish. Arrange the vegetables around the roast. Bake for 35–40 minutes for medium rare. Slice and serve alongside cooked veggies.